The national gender pay gap has reached its lowest level in 20 years at 14.6%. 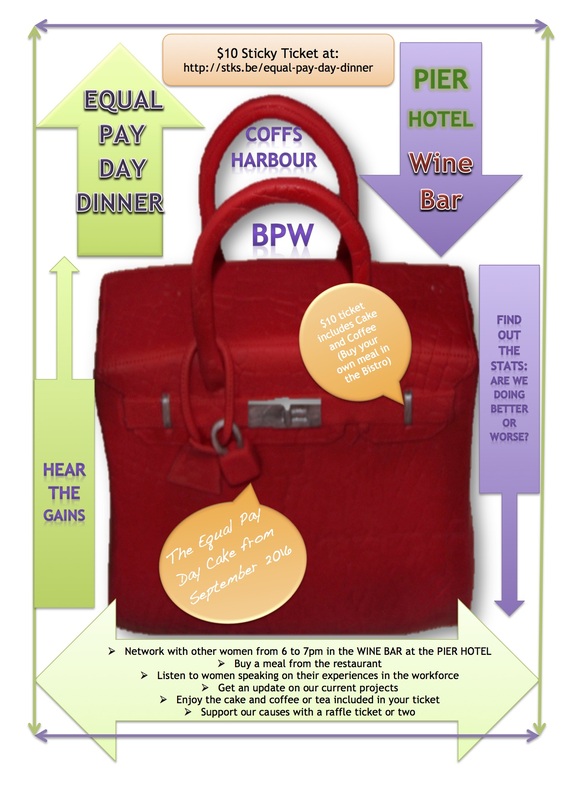 Come and join the discussion at BPW Coffs Harbour's Equal Pay Day event. You are welcome to join us from 6pm and buy a meal or come along at 7pm for the formal proceedings where we shall be discussing the implications of the Gender Pay Gap.